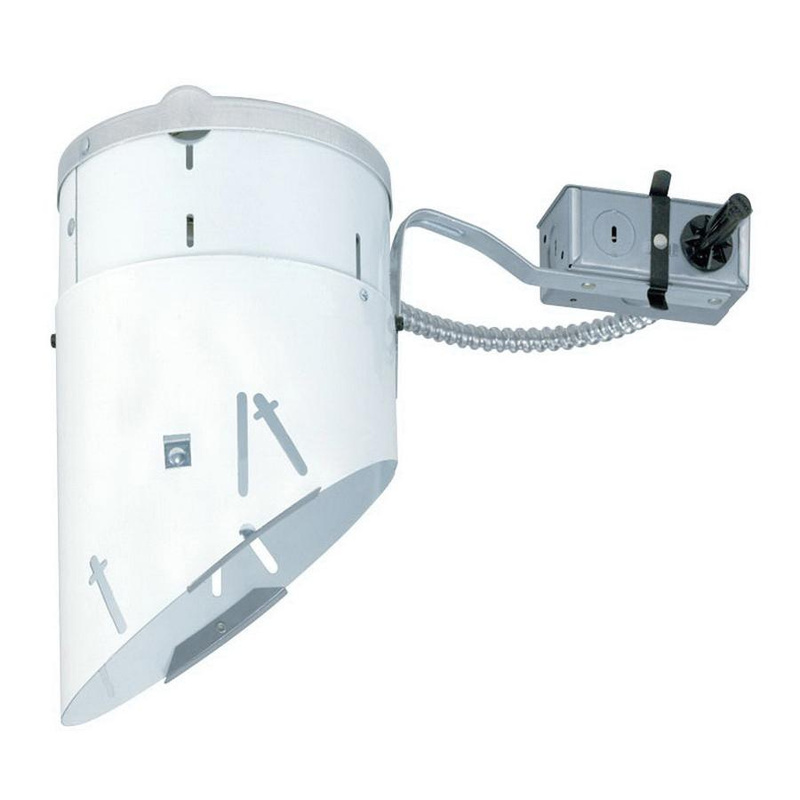 Juno Lighting Slope ceiling TC remodel housing in white painted finish, features 22-gauge steel construction. It accommodates PAR16/PAR38 incandescent lamp that has voltage rating of 120-Volts. This housing has medium socket. This 1-Inch ceiling mountable housing has cut out that measures 6-9/16-Inch x 8-1/4-Inch. It measures 14-Inch x 7-3/8-Inch x 9-Inch. Adjustable socket plate allows lamp to remain perpendicular to floor through entire pitch range. Shadow-free, knife-edge trim design blends smoothly into the ceiling. Housing is UL listed and CSA certified.